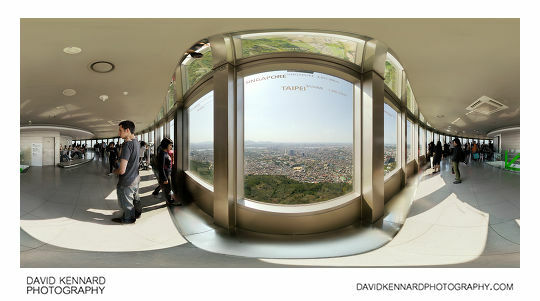 At the top of Namsan is the N Seoul Tower, a large communications tower that you can go up to get a good view of Seoul. 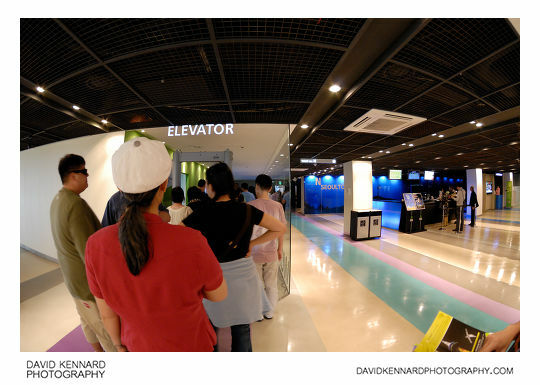 We lined up for tickets to go up to the observatory deck of the N Seoul Tower, though there weren't really any distinct 'lines' for the ticket office. 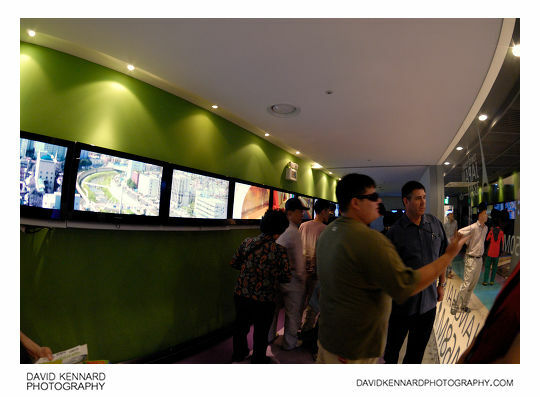 After purchasing our tickets, we went inside the tower and joined the queue for the elevator. The glass wall along the queueing area has pictures of various other towers throughout the world, along with their heights. Compared to quite a few of them, the N Seoul Tower is relatively small. After waiting in the queue for quite a while, we eventually reached the lift. They have a staff member in charge of letting people into the lift, so you don't need to worry about everyone trying to cram into the lift at once. The lift went up to the digital observatory deck, and from here you could indeed get a good view of the sprawl that is Seoul (and the various surrounding mountains). I was happy to find that I could set up my tripod and take a panorama without being hassled by security guards. Despite taking a couple of extra images to account for moving people in the above panorama, it seems that I took them in the wrong direction, and so I do have a girl in there who's duplicated. 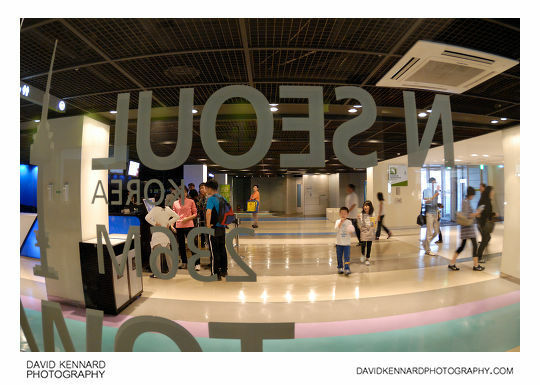 It was quite a lot of post processing work to combine the bracketed images to account for the difference in light levels between the view through the windows and the inside, while also avoiding ghosting of the moving people.